- Lawns will be mowed at 1 1/2” in height and watering will occur at 4 times per week. 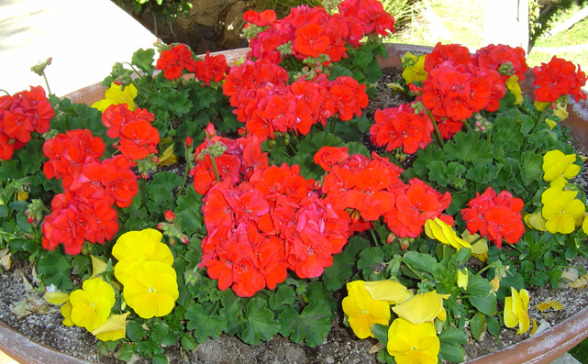 -Warm season annual flowers should be established and will be watered at 3 to 4 times per week depending on weather conditions. Fertilizer will be applied to annual color every 2 weeks. – Red Yucca bloom removal, cutbacks of brittlebush and spring flowering shrubs will occur along with selective pruning of woody shrubs and ground covers. -Mowing, raking, edging and trash/leaf collection in landscape areas (weekly basis). 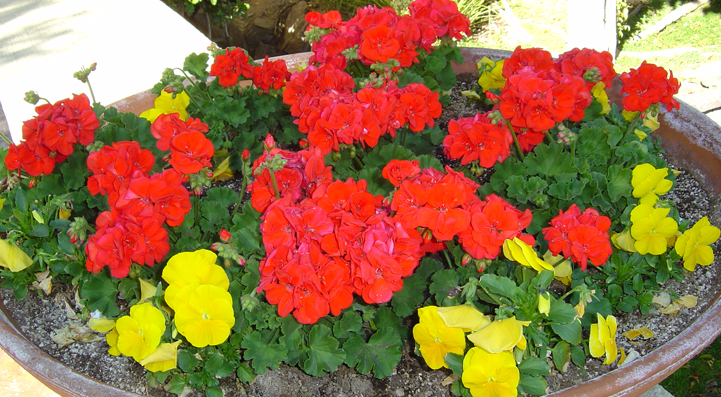 -All plant material will continue to be monitored for disease or pest infestation. -Application of post-emergent herbicide on all decomposed granite (dg) areas will be completed as necessary.